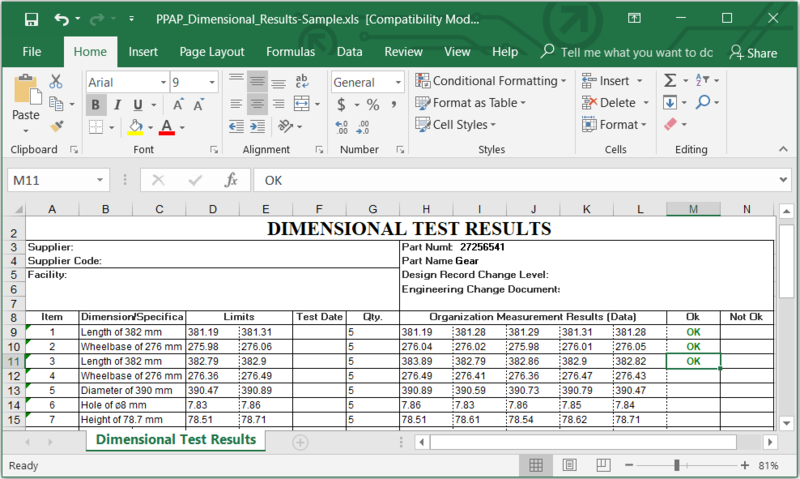 (Excel file with unlocked sheets and cells). Please download our FREE Production Part Approval Process forms to complete your PPAP tasks more easily and efficiently. With our Free Production Part Approval Process (PPAP) forms, you can manually complete to fill the forms on EXCEL or other spreadsheet software. However, this manual procedure could be very stressful and time-consuming, while you can finish this FAI tasks more easily and efficiently with our PPAP / FAI Software, QA-CAD 2019. Check this short video clip to find out how quick and easy QA-CAD helps you to complete your PPAP process!